I’m going to start this post by stating what can only be described as the screaming bloody obvious – your twenties are a harrowing, confusing, wonderful decade where you spend 90% of your time wondering what the hell is going on and the other 10% gleefully exclaiming ‘this is it! I am finally living‘ to everyone who will listen – I know this, and I’m only 23. Practically a baby in the grand scheme of things, but bare with me here. The world and his dog expect you to have things worked out by your twenties. By the age of 14 you’re supposed to know the direction you want to take for your studies when you pick your options for GCSE’s – at 16 you have to make the decision whether to stay in education or to go into full time work. If you stay in education will you study a vocational or academic course, or do you actually want an apprenticeship? This is, of course, assuming you actually know what career direction you’d like to go in – I think I speak for most when I say that at the age of 16 I knew absolutely nothing about what I wanted for my future, I was more concerned with why that boy didn’t like me and was my eyeliner too thick? At 18, you choose to either go to university or go into work, and if you go to university you’re expected to know again what you want to do for your career, especially now you’ll be paying the simply astronomical and ridiculous sum of £9,000 a year on fees alone for the privilege of three years long, hard slog. So really, by the time you graduate (typically around the age of 21) you should be well on your way to having things absolutely Figured Out. Right? Wrong. I still spend 90% of my time worrying over why that boy doesn’t like me and is my eyeliner too thick, only now I also have the added bonus of worrying over grown up things like council tax, rent going out and my new, personal favourite – can I afford to eat this month? In a world where we’re supposed to have it all figured out and be well on our way to a glittering future full of money and success, the powers that be haven’t exactly made it easy for us millennials. 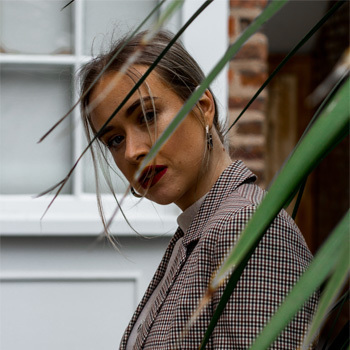 I recently moved to Manchester when I was given my absolute dream role at a fabulous company and therefore I was thrown head first into the world of budgets and bills in an attempt to work out what the most feasbile option was for me in terms of living or commuting. I’m going to add a disclaimer here – I’m one of the insanely lucky ones who’s managed to snag themselves a full time job in a good company – I’m well aware there are a lot of others my age who are still struggling to find employment. Not cool government, not cool. It was decided that living in Manchester would work out the most feasible option for me – although not the cheapest. While commuting each day was a much more financially viable option, it would mean leaving the house before 7am each day and not returning until after 8pm by which point after I’ve showered, eaten dinner and actually taken 5 minutes to decompress from the day it would be time to go to bed ready for the next day. Rinse repeat. Manchester offers me the freedom of getting home from work before 6pm and not having to leave before 8.30 in the morning – living the dream I’m sure you’d agree. Now before I moved, I tried so hard to find a flat share, I really did. Unfortunately, it wasn’t to be, leaving me with the only option of moving in on my own. A single girl living in the big city, who comes from the countryside, all on her own was quite a daunting prospect, and therefore my main requirement for my flat was that it was close enough to work for me to feel safe walking especially in the winter, in the dark. I had some horrendous experiences when I was younger which I will not go into on here, but it’s left me with a real fear of walking alone at night and this was something I did not want to contend with when I moved. Of course, if you asked the powers that be they’d scoff that of course this was no issue! But when you take into account that my rent on my one room studio flat is more than half my monthly wage, plus all the bills that are piled on top of that and oh God forbid I might want to eat – things become a little more impossible. I have no social life already, I can count on one finger the amount of times I’ve been out in the last month and yet I’m already feeling guilty about spending £10 going to a life drawing class with my friend this week in an effort to get out of the house. Admittedly, you’re probably scratching your heads wondering why I haven’t come to the conclusion of getting a second job, and trust me I have. Only, with my current job I have to work away during weekends which would mean a Saturday/weekend job isn’t possible. I could get a job in a bar in the evenings, but when extreme exhaustion is a side effect of the medical complaint you’re plagued with and you already seriously struggle making it out of bed each day, you know that your day job would seriously suffer, and would you honestly risk sacrificing your dream job for the second job you got in a desperate attempt to pay the bills? I made the harrowing discovery the other day that I’d be able to feed myself for almost an entire month on frozen food from Iceland with what I spend per week in an attempt to buy healthy, fresh produce and that’s when I realised that seriously, something has really got to give. I don’t understand how we’re expected to survive, let alone live an actual fulfilling lifestyle, when the cost of living is just so steep and rising by the month. When will the government wise up and realise that they need to cut us some slack and help us out, before they have a country full of disgruntled twenty-somethings rising up to tell them enough is truly enough. I guess you could call this an open letter to anyone who cares enough to take a stand against the rising costs of living. If you agree with what I’ve said, let me know in the comments below, I’d honestly love to get your feedback and hear your own experiences with this issue.